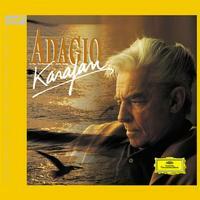 Karajan's Adagio spans several centuries and musical eras, from the Baroque to the post-Romantic 20th Century. In addition to Albioni/Giazotto, Pachelbel, Sibelius and Beethoven, listeners will find compositions by Mozart, Massenet, Vivaldi, Brahms, Grieg, Mahler and J.S. Bach.